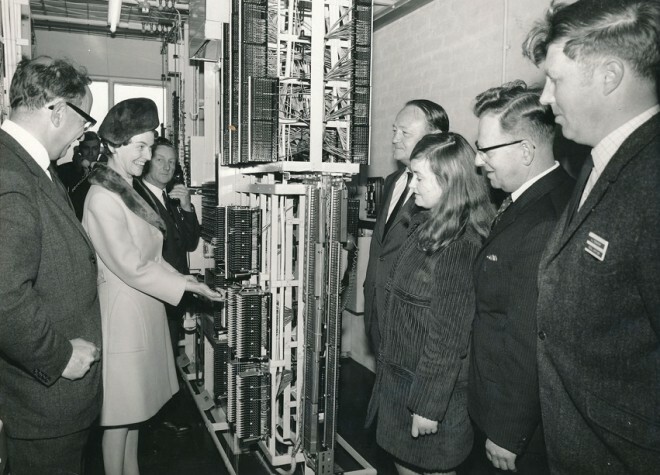 The automatic telephone exchange was opened on May 6th 1970 by Lady Hall, the wife of the Postmaster General. 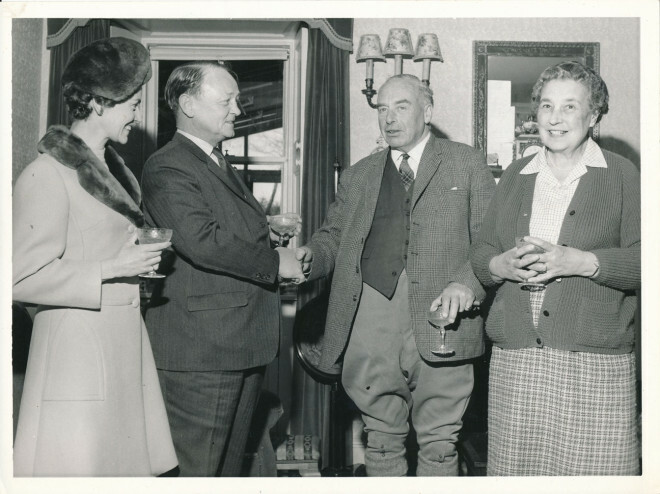 Lord and Lady Hall were hosted by JK Balfour of Dirnanean. 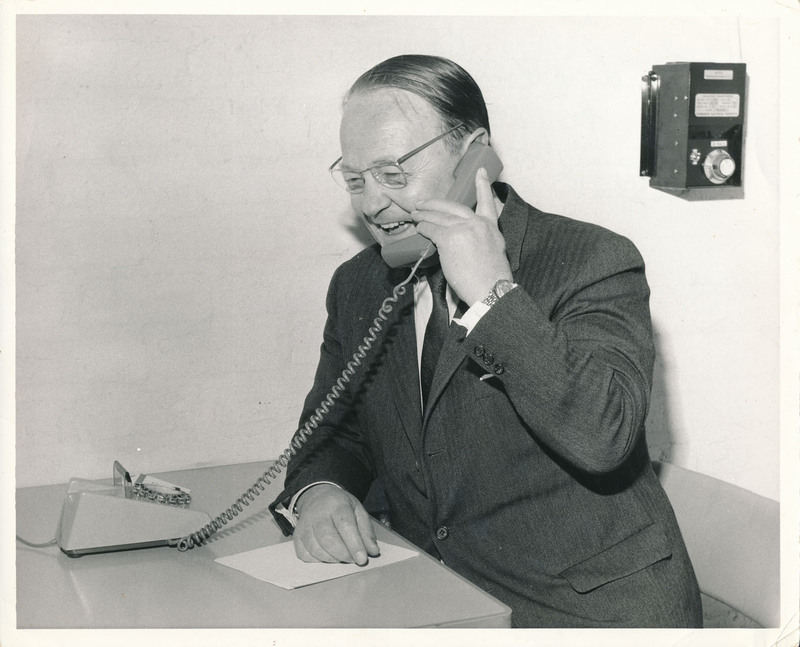 At Dirnanean with post office officials. Lord and Lady Hall in Dirnanean after the opening with Francis and Katherine Balfour. 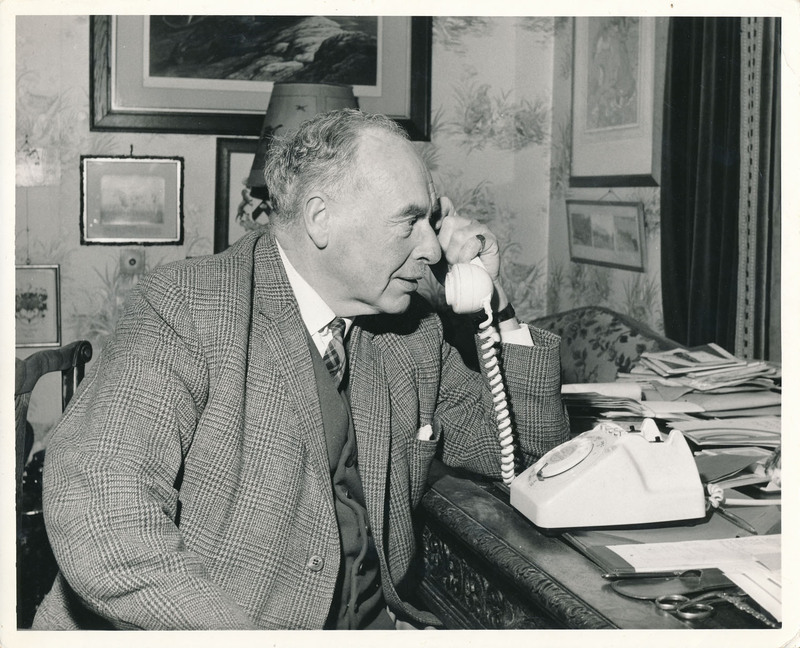 Lord Hall makes the first phone call from the exchange. Balfour takes the first phone call from the exchange. I installed the telephone exchange in 1970. 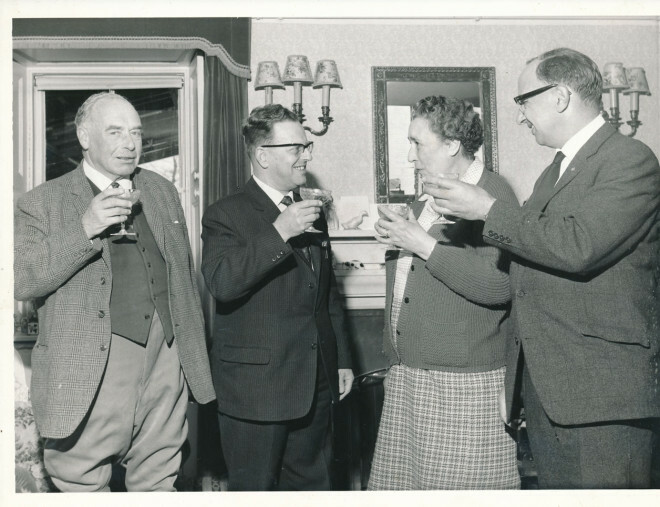 I am on right nearest camera and behind Lady Hall is John McBride (my boss) who’s parents had the General Store in the village and who is in several photos elsewhere in the archive.